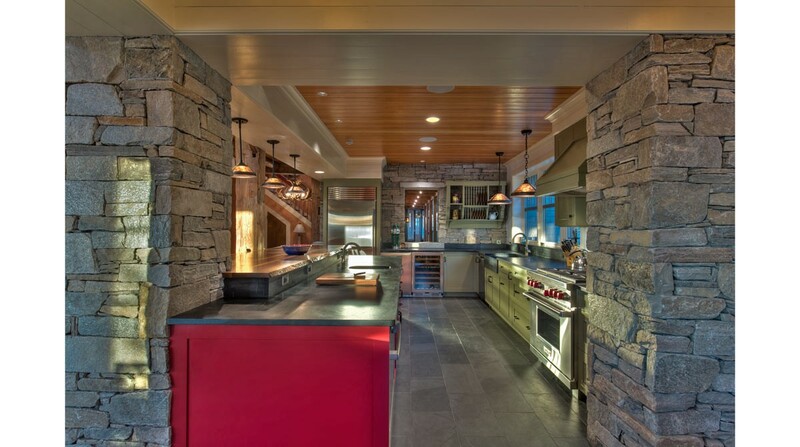 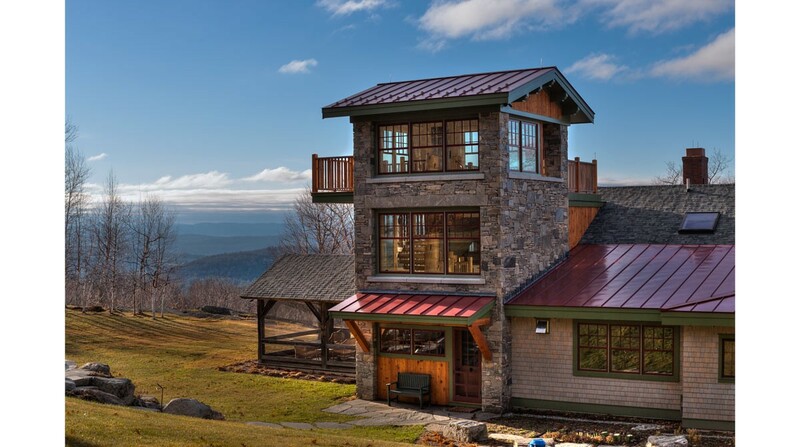 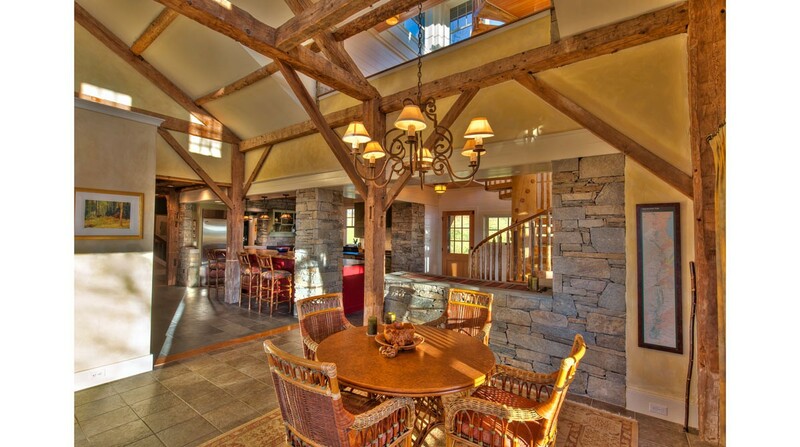 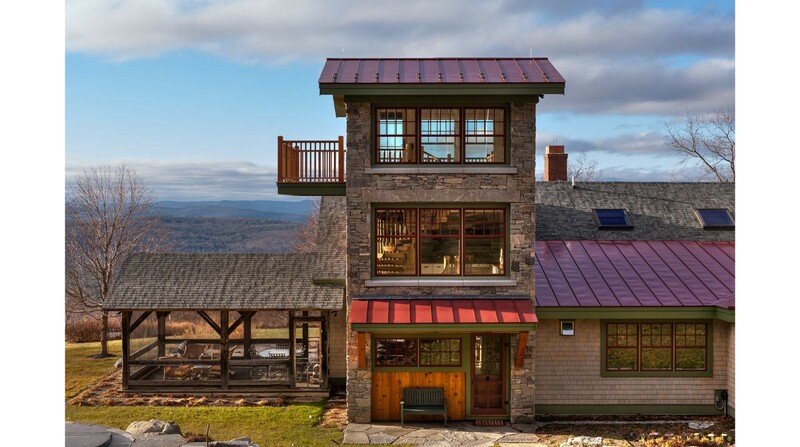 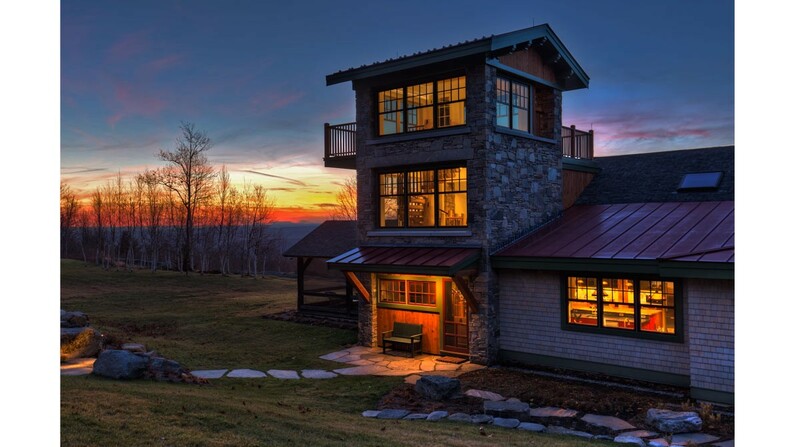 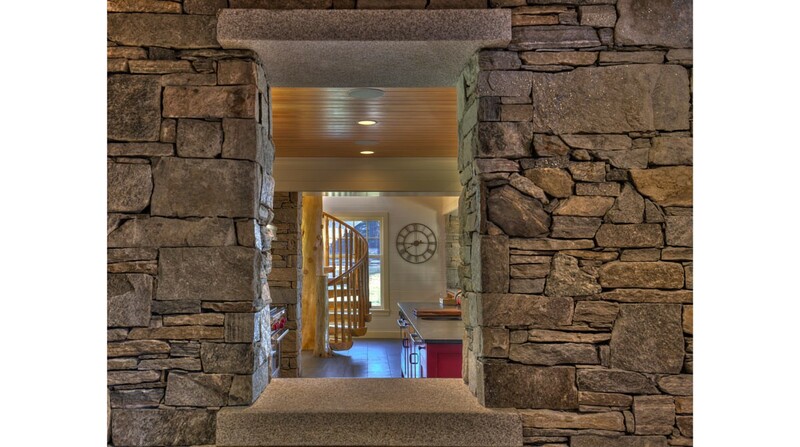 A three story stone tower and a kitchen were added to an existing home located below the summit of a mountain that overlooks Vermont. 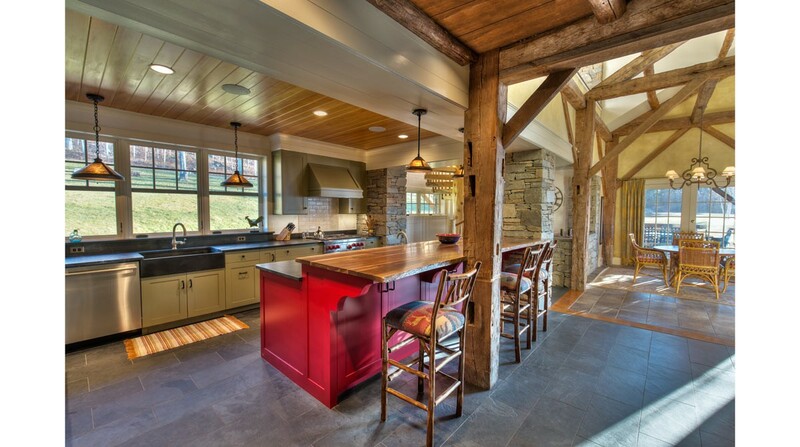 The interior and exterior of the kitchen and tower were built using stone which creates the impression that the timber framed farmhouse house has been built around a pre-existing stone structure. 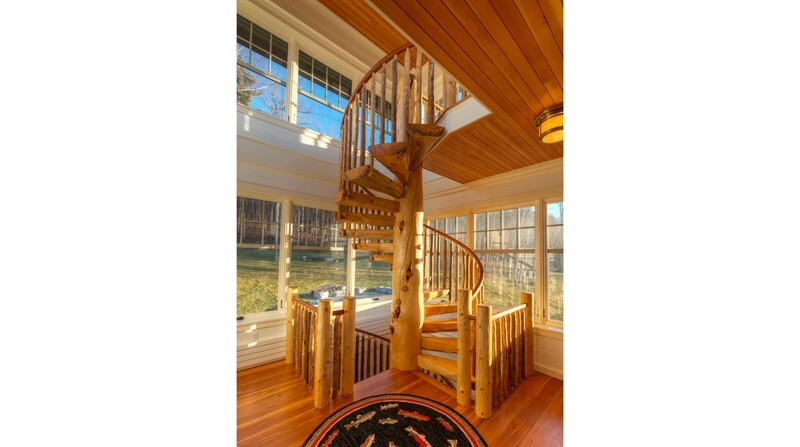 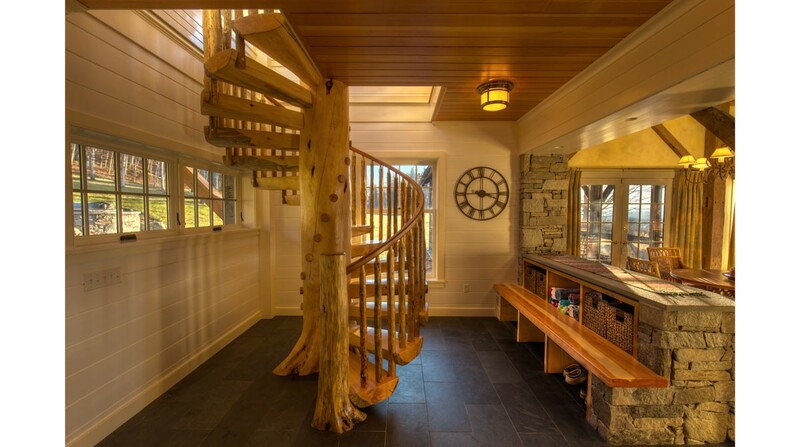 The tower stairs, which access an office on the second floor and an observation balcony on the third floor, were built from a single pine tree with mortised stair treads and rustic balusters. 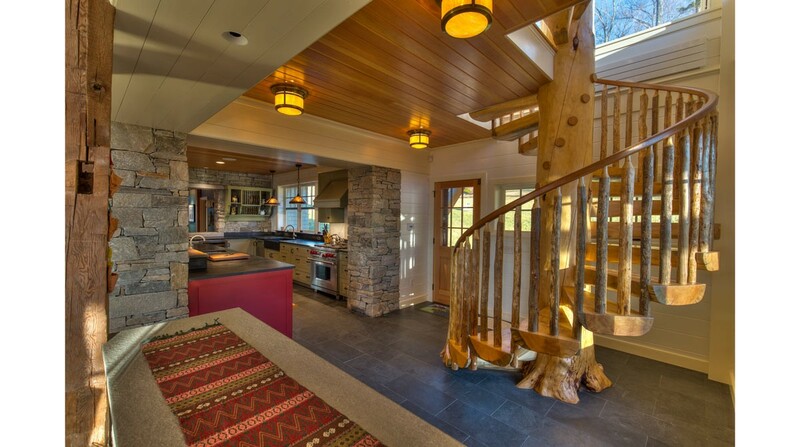 The stair and the kitchen communicate with the existing timber framed great room and dining room to provide an open plan that is warm and inviting.